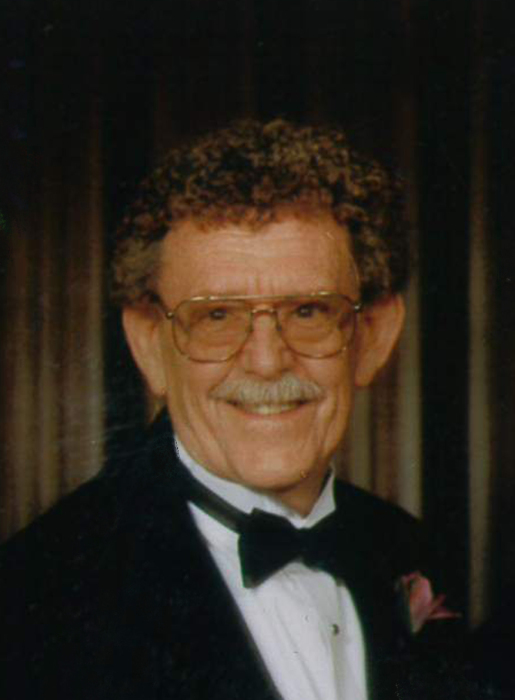 Edwin Daryle Thurston, 86, of Pleasant Grove passed away Wednesday, January 30, 2019 in Provo, Utah. He was born January 11, 1933 in Salt Lake City, Utah, the first child of Edwin Ross and Helen Woods Thurston. Ed participated on the track team at West High School where he graduated in 1951. He married Marilyn Boyce in January of 1957. They had two daughters: Marie and Dixie and were later divorced. He married Molly Watkins on November 24, 1962 in Orem. Their marriage was later solemnized in the Salt Lake Temple on February 7, 1978 by Elder Thomas S. Monson, his former Bishop. Together Molly and Ed had four children: Trisha, Teri, Michael and David and foster daughter, Missy. Some of Ed’s jobs included Machinist at Hill Air Force Base, Prudential Life Insurance Agent, Manager of a bowling alley in Murray and as a Machinist in both California and Utah. In 1987 he opened his own business, Metro Precision Grinding in Murray, Utah. He loved what he did and worked until the age of 85. His work was his hobby and also loved horses. His favorite horse was Redwing who was given to him by his best friend and father-in-law Curly Watkins. Ed loved cars and passed this knowledge and interest on to his sons. He also enjoyed bowling. He and Molly loved attending BYU men’s and women’s volleyball matches. Attending performances at the Scera Shell and Desert Star Playhouse was also a favorite pastime. His twice weekly temple attendance at the Mt. Timpanogos Temple was also a highlight of his life in the past several years. Ed is survived by his wife Molly; seven children: Marie (Rick) Jones, Dixie Economy, Missy (Brian) Sorenson, Trisha (Robert) Boyer, Teri (Earl) Fronk, Michael (Shannon) Thurston and David (Heather) Thurston; 22 grandchildren, 23 great grandchildren, and a great great grandson; siblings: Rosemary Thurston, Nancy Thurston, Roland Thurston, Boyd (Shiree) Thurston, Marie (Ray) Damiano, Gloria Pratt and Carolyn Robertson. Ed was preceded in death by his parents; sister, Lois Reynolds; brother-in-law, John Pratt and sister-in-law, Sandi Thurston. Funeral services will be held Wednesday, February 6, 2019 at 11:00 am in the Timpanogos Sixth Ward Chapel 325 East 500 North, Pleasant Grove. Family and friends may attend a viewing Tuesday evening from 6-8 pm at Olpin Family Mortuary, 494 South 300 East, Pleasant Grove and at the church on Wednesday from 9:30 – 10:45 am prior to services. Interment will be in the Pleasant Grove City Cemetery. Condolences may be sent to the family at www.olpinmortuary.com. In lieu of flowers the family suggest donations be made to the Missionary Fund of the Church of Jesus Christ of Latter-day Saints. The family would also like to extend their heartfelt thanks to the Pleasant Grove EMT’s, American Fork Hospital Emergency Staff as well as the ICU Staff at Utah Valley Regional Medical Center for their kind and loving care of Ed.